SuperyachtNews.com - Business - Crazy for crypto: can yachting profit from the Bitcoin boom? Is the Bitcoin explosion a rallying call for yachting companies to immerse themselves in synthetic digital banking currencies? ‘Will it burst soon, or is this just the beginning?’ is the question that I among many have mused while observing Bitcoin racing past the $15,000 mark – a staggering 1,400-plus per cent growth over the past nine months – during a wild surge in value against fiat currencies. Three months ago, when I wrote this article about Bitcoin – after a boutique yacht brokerage announced that it would accept payment for a $22.5 million superyacht in cryptocurrencies – it was worth $3,300; and five months before that, in March, it was worth just $1,000. But the mainstream media palaver, while wetting the appetites of like-minded idealists teetering on the edge of joining the army of intrepid speculators, appears to be rousing confusion as to a) what Bitcoin actually is, and b) whether it’s conceivable that it can sustain this trajectory. However, business tycoons and Nobel prize winners have lined up to criticise Bitcoin, suggesting it should be outlawed, that it’s ‘fraud’, that it serves no socially useful function and that its value is not being driven by any conventional financial logic; just faith. 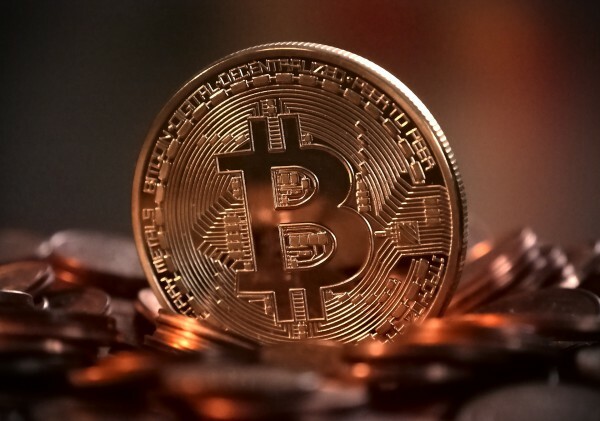 Among the sceptics – although he admits it has also “captured his imagination” – is Bob Atkinson of B Capital Partners LLP, who, during an exclusive conversation with SuperyachtNews, described Bitcoin as being "like a roulette wheel”. 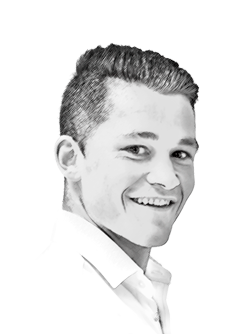 "With all the media attention and subsequent public awareness, if demand continues to boom, this would, in theory, continue to self-support the price." He added: “With all the media attention and subsequent public awareness, if demand continues to boom, this would, in theory, continue to self-support the price.” With a market capitalisation of 21 million Bitcoin, Atkinson does not believe it will crash, despite its proven volatility, and that it will maintain a “reasonable” value, with its upward trajectory “increasingly strained” by supply. Superyachting clientele are more likely to use it as a decentralised peer-to-peer instant payment platform – speeding up payments for last-minute charter bookings, for example – instead of investing in it “with a view of increasing their wealth”, as Atkinson suggests. Today there are many intermediaries – banks, lawyers, brokerage firms, shipyards etc. 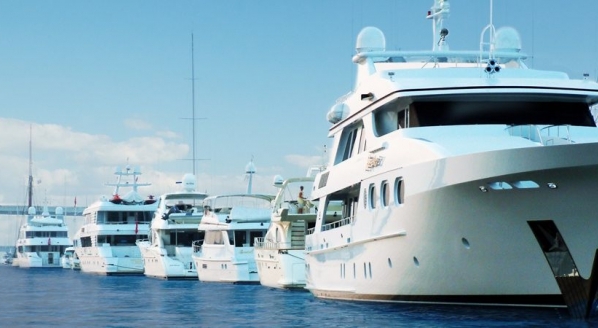 – involved in the closing of a yacht sale or charter, each with their own KYC procedures or internal sign-offs, so much so that it’s becoming increasingly difficult to transact. Bitcoin’s proposition – and the theoretical value it offers a yacht owner or charterer – is that there are no third-party intrusions from governments, banks, or other financial intermediaries. Thus, transactions are tax-free and the transaction fees are very low. Olivier Blanchet, head of jet and yacht finance at BNP Paribas, is not so convinced by the use of cryptocurrencies as ‘currency’: “The banking sector and governments are sceptical because it is unregulated, out of control, uncorrelated to the economy, and it doesn’t reflect sovereignty for any countries or economic areas. “The banking sector and governments are sceptical because it is unregulated, out of control, uncorrelated to the economy, and it doesn’t reflect sovereignty for any countries or economic areas." Bitcoin took another step toward the financial mainstream on 1 December, when US financial firms, CME Group, CBOE and Cantor Fitzgerald announced that they will list financial products offering exposure to cryptocurrencies on 18 December. Atkinson said that in his recent conversations with banks, they have made it abundantly clear that they are still not interested in accepting cryptocurrencies as “proper” currency. Furthermore, this week, the UK Treasury announced that it is considering the imposition of regulations on cryptocurrencies amid concerns of its use for money laundering, tax evasion and crime. China, which originally accounted for 80-plus per cent of Bitcoin transactions, enacted a sterner intervention earlier this year when it clamped down on domestic cryptocurrency exchanges – according to online sources, it stands by its decision. While Atkinson and Blanchet would steer clear of recommending Bitcoin as an investment opportunity, Atkinson described ‘Blockchain’ technology as “tremendous”.